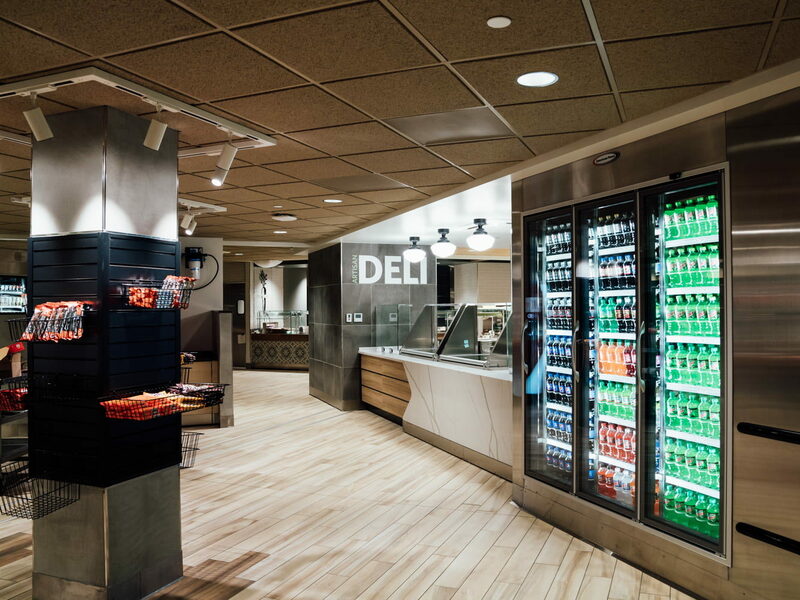 Complex, multi-phase cafeteria renovation for area’s leading health care provider. 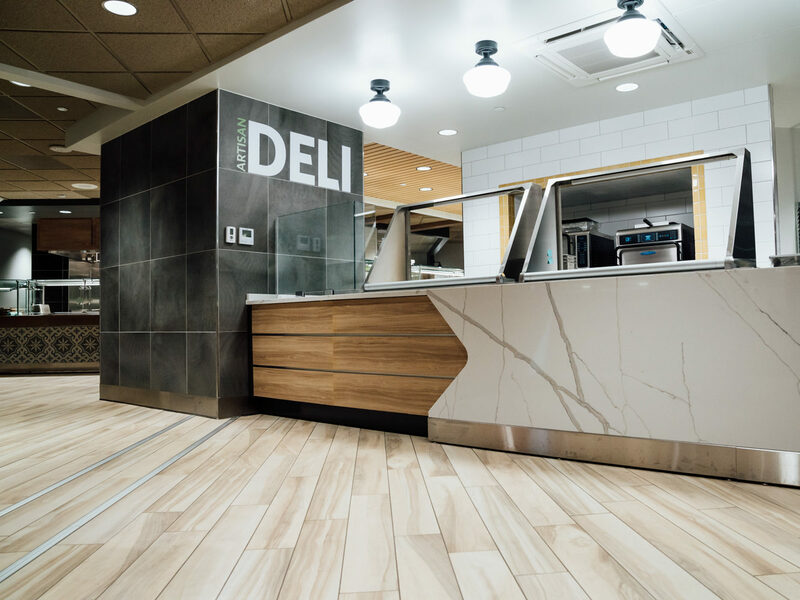 Our construction management team completed a complex, multi-phase cafeteria renovation inside Butterworth Hospital on behalf of Spectrum Health, the area’s leading health care provider. 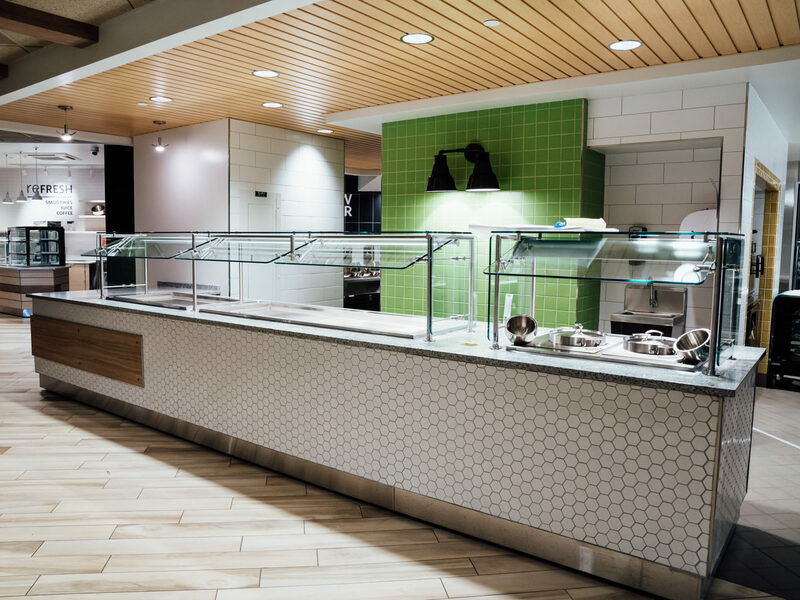 The project involved a full remodel of the hospital’s existing food service area including portions which were originally constructed in 1920. New finishes were installed including kitchen equipment, counters, plumbing, HVAC, refrigeration and electrical. 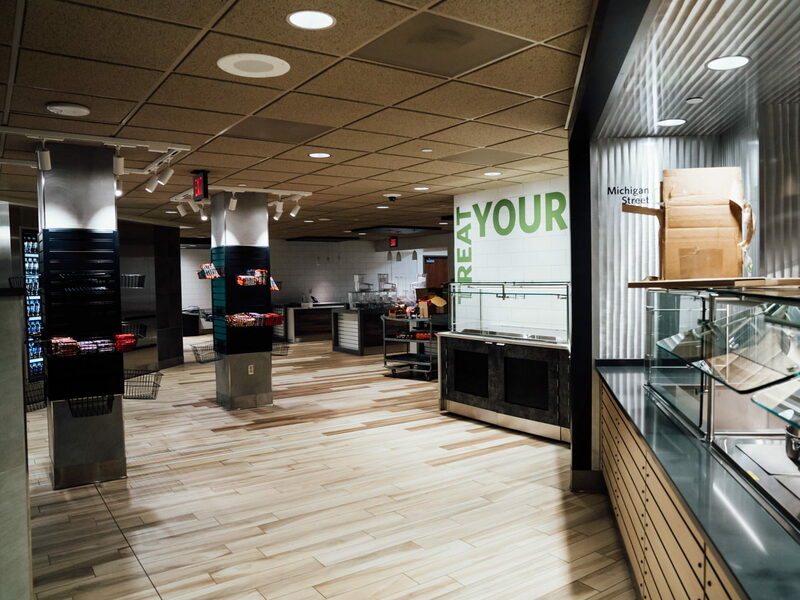 The newly renovated cafeteria contains cooking stations, food service areas, a grocery and display area, and a coffee bar. It is expected to serve 5,500 people each day, which is 1,500 more than the previous cafeteria could serve. 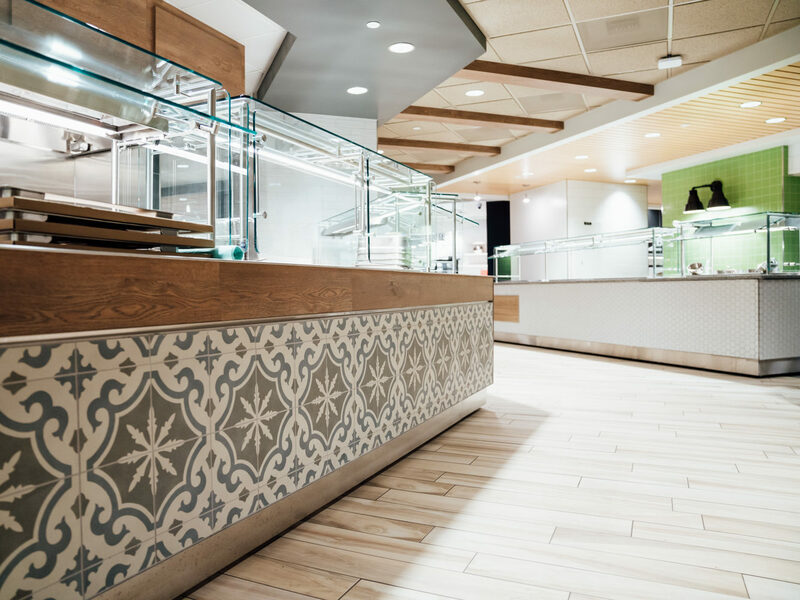 The project occurred in eight phases to ensure the hospital’s existing cafeteria remained operational to hospital guests and patients during the entire course of construction. Adjacent areas of the hospital remained operational as well, which required extensive coordination among our project team.